Spiderweb Software isn't a household name, but for years (and years) now the tiny outfit has managed to achieve something that most other indies will die dreaming of: establish a workable and sustainable business model. Spiderweb games are brilliantly niche, don't overstretch themselves, and don't get experimental when that might put the core fanbase off. And that's why I enjoy them so much. Spiderweb's niche is the classic RPG, taken from an era before even Baldur's Gate started the shift between more action-based systems. Turn-based combat, a primitive isometric perspective on the world, volumes of reading and no voiceovers, and animation that more closely resembles janky shuffles than it does smooth movement and elegant swordplay. These are all reasons that less committed RPG fans will take one look at the game and move on, but then the Spiderweb business model isn't built on those people. These games are designed for the specific audience that grew up with classic RPGs and gets a strong nostalgic rush from seeing them in action again. There are a fair few Spiderweb games on the Apple App store already; in addition to the two preceding Avernum games (and Avernum 6, for some reason), there are also three games in Spiderweb's far-too-similarly-named Avadon trilogy. 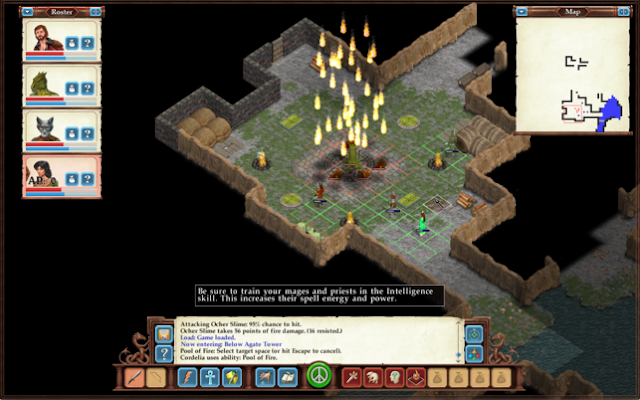 I'm not sure if at this point there are going to still be people "discovering" these games for the first time, but on the off chance there are, here are a couple of things to know about Avernum 3: firstly, you can play it without having played the other titles and secondly, as subjective as it is when talking about purely narrative-driven games, I reckon this one might just be the best of them. This game features a lot of text, but to summarise what it's about in as few words as possible: In Avernum, the world is split into two "nations". There's the surface-dwelling Empire, and then there's Avenum, a series of caves deep underground that has no exit, and where the Empire teleports its criminals and unwanteds, expecting them to die. Most of them don't die, however. Instead they manage to scrape together as a society and eke out a resentful and miserable existence in the dark. In Avernum 3, things change. 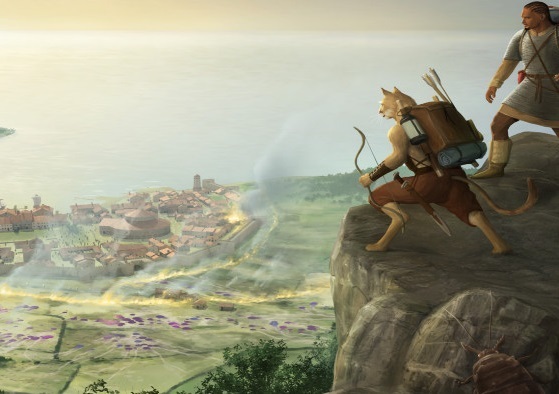 After a war breaks out between the two "nations", the people of Avernum decide to use powerful magic to send people back to the surface to start looking around and, perhaps, set up colonies on the surface. This is where you come in. Playing an expeditionary party, your role is to take your society's tentative first steps into the surface world in a very, very long time. Predictably, those first steps are positively fraught with danger. There's a lot to like about this narrative and theme. Firstly, while it's likely not intended on the part of the developer, but the idea of a society formed from the dregs of a powerful empire certainly appeals to me, as an Australian. It feels analogous to the story of what happened when white people decided to declare this giant island as Australia, and dump all its criminals on it, even though one of the oldest peoples on the planet had already claimed it. The Empire in Avernum is every bit the stuffy, righteous, militant place that the United Kingdom was back then (so perhaps the analogy was deliberate), and there's that same sense of scrappy survivalism and mateship that the white pioneers in Australia needed to develop quickly on landing here, and continues on after a fashion to this day. Secondly, there's a genuine sense of wonder and adventure that comes from stepping out of the dark and into the sunlit world for the first time. In the leadup to your heroes taking their first steps outside, there's an amusing moment where they get lectured on what a tree is, for example. The world they're exploring is so foreign and alien to them, and the experiences all written up as so new, that the ignorance and naivety really plays to the sense of the mystery and discovery. One of my favourite pulp fiction authors, R. A. Salvatore, has dealt with the same topic so well over the years with his Dungeons & Dragons novels. Starring the drow, Drizzt Do'Urden, who escaped the evils of his home town after a century of youth (elves live long, remember), to come to the surface for the first time was a topic Salvatore addressed in vivid depth. 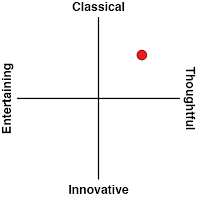 To be able to play a game that approaches a topic so closely in parallel is a wonderful experience indeed. 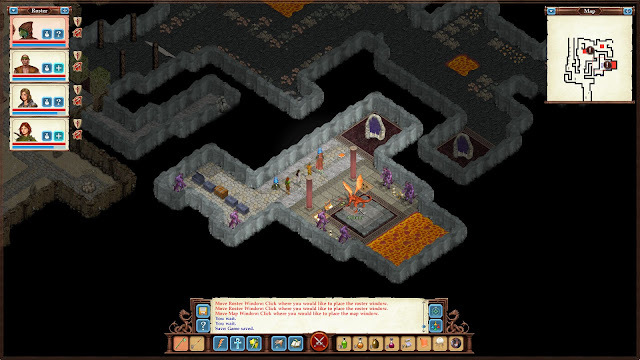 Spiderweb Software's lead creative (and, realistically, it's a one-man band), Jeff Vogel, has a real way with words, and though Avernum 3 features a lot of reading, it's presented in such vivid and elegant depth that it paints a picture where the primitive visuals of the engine struggle. It's engrossing, and helps make what is a very lengthy adventure by indie RPG standards simply fly by. Just like a good book. 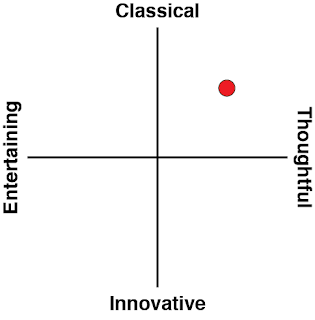 The gameplay is enjoyable, without being as complex as modern systems can get. You've got a fair amount of control over the skills development of your characters, but the range of skills available to each of them is relatively limited. Combat itself is an appealing turn-based affair over a tactical grid, though the lack of features on battle maps, and the simple AI routines of the enemies is decidedly retro. If you're weaned on a diet of the likes of The Banner Saga and Dragon Age, this tactical combat system is going to feel overly simply. People who have fond memories of playing Eye of the Beholder or Pools of Radiance, however, will get a nostalgia rush as pure as a sugar rush would be if you injected your veins with pure sugar. What's really enjoyable about the gameplay system, however, is the sense that you have to earn your rewards. As much as I love Diablo and modern RPGs, the loot cycles are designed around the shortest of attention spans, and every defeated enemy erupts in a shower of loot. Finding a really good sword in Avernum 3 generally requires a real eye for puzzling out secret areas and traps and you'll count it as something precious as a result. Retro RPG fans will also appreciate the difficulty curve. In short, Avernum 3 knows how to be brutally unforgiving. 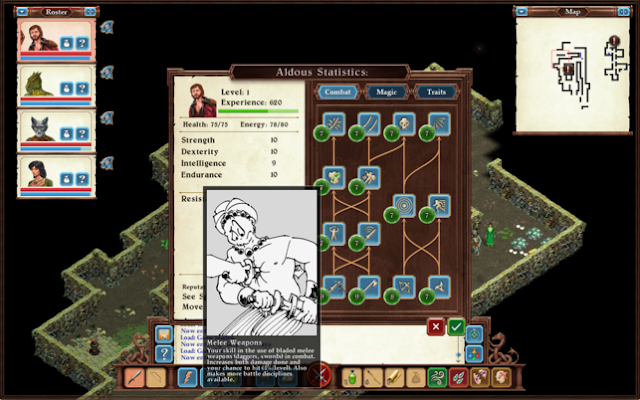 You'll find yourself saving frequently as you inch your party forward, and while you generally have a lot of freedom to go anywhere in the world that you like, and tackle a wide range of challenges at once, what the game doesn't tell you is you'll frequently find side quests or challenges that you couldn't hope to be prepared to deal with until much later on. Like with most retro RPGs, if you're not already experienced with the genre, expect to encounter more than a couple of difficulty walls along the way that can leave you deflated and with no idea what to do next. It doesn't matter that Avernum 3 is retro. In fact, that's the core appeal of it. You buy this game, and you get an unflinchingly ugly engine, brought to live by scroll after scroll of rich storytelling, narrative vision, and simple but efficient combat. I know it's not for everyone. 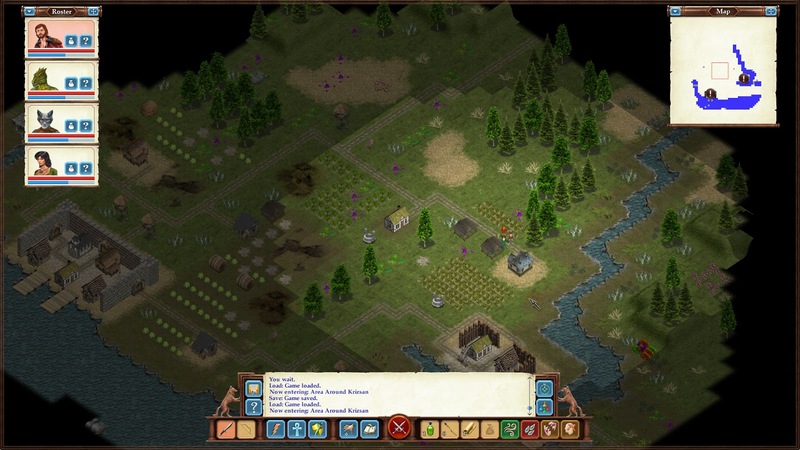 Spiderweb Software's Vogel would be the first to admit it's a niche game for a niche audience. But the game's honesty to that niche, and its reverence for classical RPG design and structure, make it a rare, even precious breed among modern games, and there's a reason that, for all the games I've played and deleted off my iPad, I've never taken a Spiderweb Software game off it. And I'll never remove Avernum 3, either.